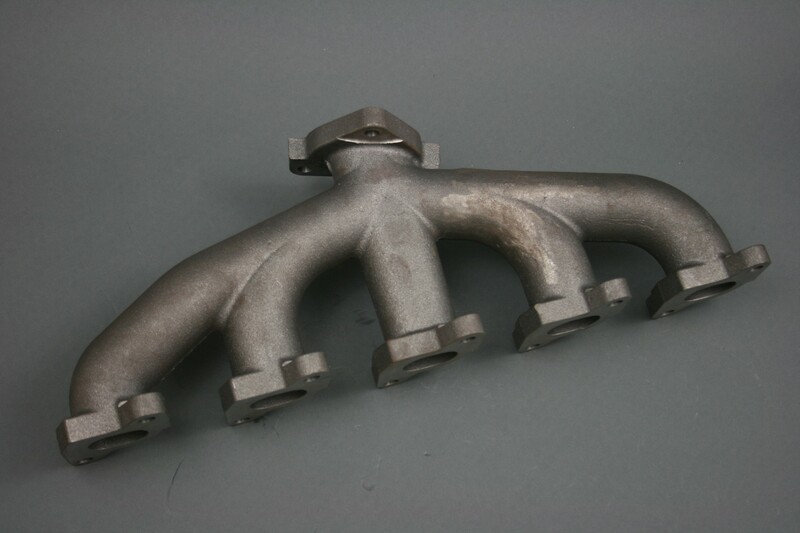 AlliSport now stock an uprated exhaust manifold for all Td5 engined Land Rovers. Our new cast design eliminates warping whilst improving flow characteristics, a noticeable improvement in drivability and reduced turbo lag. 12mm thick cast flanges for super strength. After 8 months of development with the tubular design, we have come to the conclusion that it is impossible to manufacture one successfully without warping and cracking issues, whilst keeping the turbo in the original position. 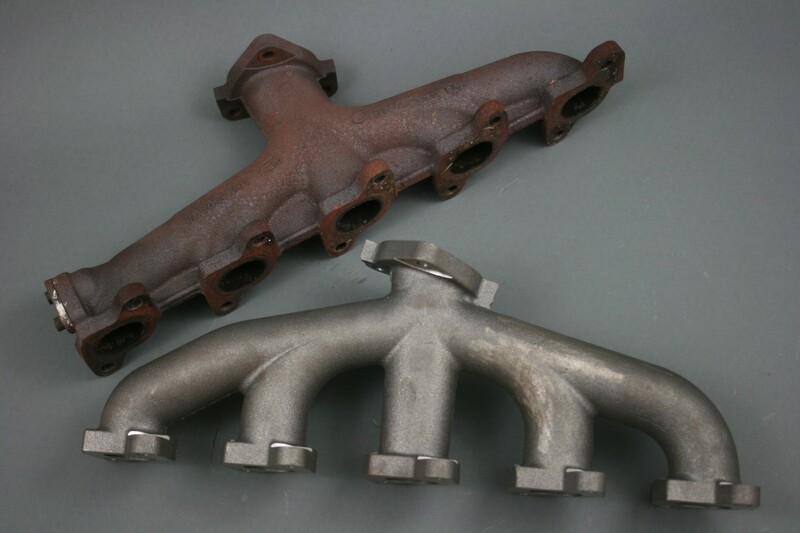 We always endeavour to make our products interchangeable so we are not comfortable with offering a tubular manifold that also requires a different turbo/downpipe/intake pipe etc. Our cast manifold flows as well as the tubular manifold and eliminates the warping issue whilst being a direct bolt on unit. We also stock stronger exhaust manifold mounting studs. These are rolled instead of the standard thread cut design and are longer allowing an expansion spacer to be utilised reducing stress on the head threads.